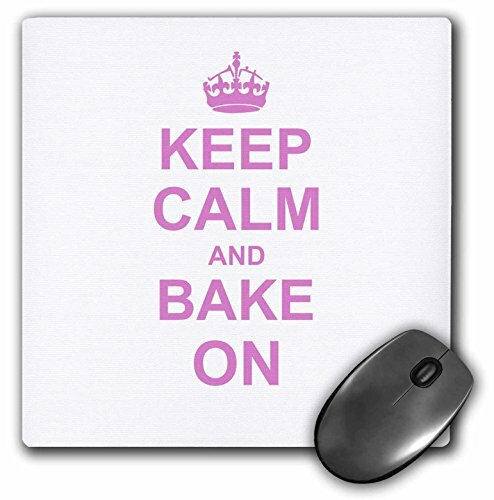 Keep Calm and Bake on - funny humor Pink text design for Baking hobbyists Bakers and Bakery owners Mouse Pad is 8" x 8" x .25" and is made of heavy-duty recycled rubber. Matte finish Image will not fade or peel. Machine washable using a mild detergent and air dry.